More Information About Structural Design Concepts, Inc. Structural Design Concepts, Inc. is the choice for many clients. Structural Design Concepts, Inc. draws from over 18 years of diverse engineering experience and leverages the newest technologies to deliver the results needed by our clients. We deliver exceptional value on every project. 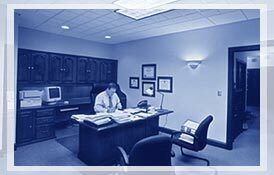 We bring to our work a proud heritage of accomplishments, integrity, excellence and commitment to our clients' interest. We will continue to adhere to the highest standards of ethics and integrity. We make continuous improvements an integral part of the way we operate. We respond to our rapidly changing world with entrepreneurial approaches, Innovative solutions, advanced technology and timely decision-making. With the use of state-of-the-art engineering software and an engineering staff that is second to none, we are the perfect solution for your next engineering needs. In addition to our highly trained, registered engineers, we also provide custom application software development services. Our software packages are designed for engineers to assist with complex calculations, and everyday engineering duties, however, our software is easy enough to use that anyone can use it. If you are looking for software to assist you with your engineering needs, look no further than Structural Design Concepts, Inc.